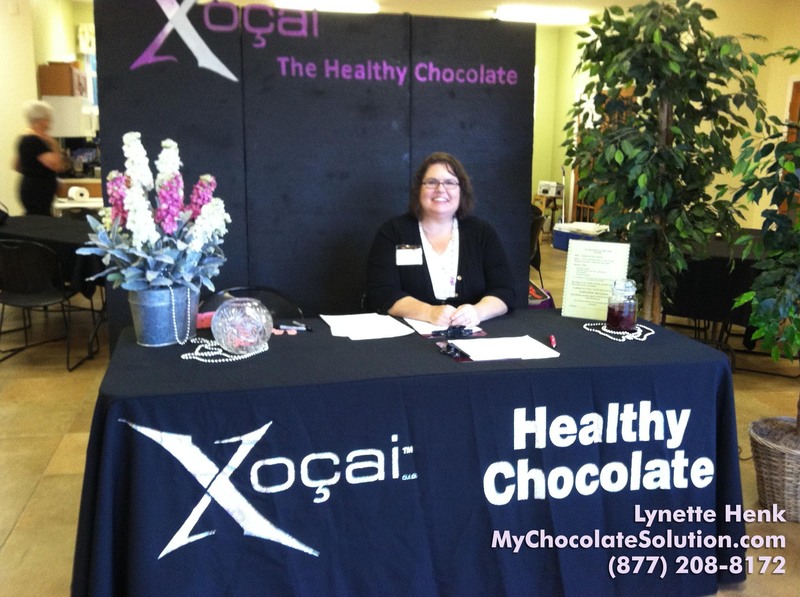 Beyond the healthy chocolate company has made the news yet again. This healthy chocolate company makes a cold pressed chocolate that is not cooked or heated like candy chocolate. The dutching process that traditional chocolate goes through endures 2-3 days worth of heating at high temperatures. This patented cold press method keeps in the antioxidants of the raw cacao making it one of the highest antioxidant products on the planet. 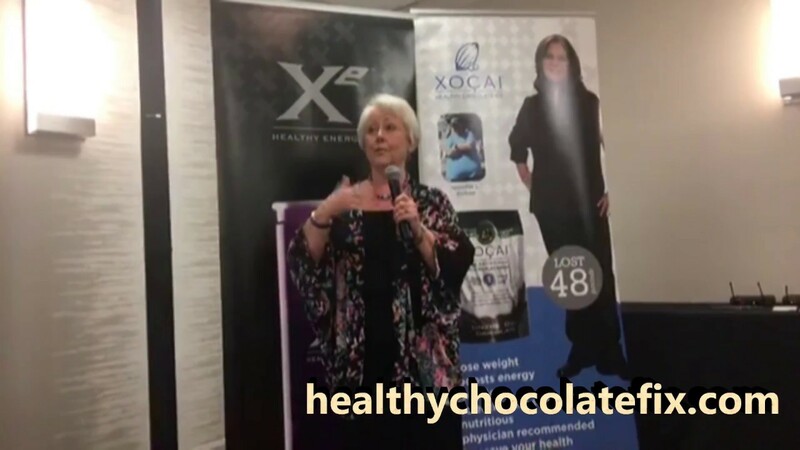 If you are not getting the 8-10 servings of antioxidants in fruits and vegetables everyday like you should, simply incorporate at least three pieces of healthy chocolate a day to get the same benefit. Beyond dark chocolates come in many flavors depending on your preference or health needs. Currently you can choose from the Power Square, Omega Square with flaxseed, Xobiotic with a probiotic, Nuggets, Heart shaped Xo love chocolate love bites and the Beyond healthy peanut butter cup. Many people start out with the variety pack until they decide which they prefer. The variety pack comes with four of the most popular chocolates. My husband loves the nuggets and I think the Xobiotic tastes fantastic. Watching your calories, our power square is just 33 calories. Eat a piece 20-30 minutes before each meal if you want to curb your appetite and lose weight eating chocolate. 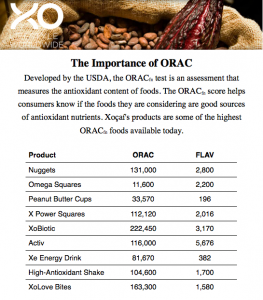 chocolate is off the charts in antioxidant content. Beyond products are regularly tested to determine the ORACfn score (Antioxidant level) and the flavonoid amounts. This is listed on the box. Most products have the Brunswick Labs seal of certification so you know exactly how much antioxidant benefit you are receiving. Once you receive your chocolates, be sure to eat at least three pieces a day, morning, mid day and evening to make sure you are giving your body the antioxidants it needs to last the entire day. You can eat more than that, but eat at least three. Concerned about the calorie content? Don’t be! This chocolate has no waxes or fillers, no processed sugars and is diabetic friendly and gluten free. 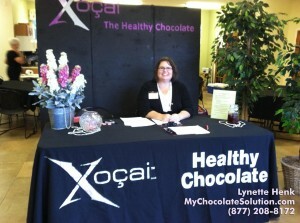 Order your Beyond the Healthy Chocolate Co. chocolates today at ColdPressedChocolate.com. You can also call us direct at 941-216-5727 or email [email protected] Whatever you do, simple changes like increasing antioxidants can make a big difference. Start eating your healthy chocolate today!